I really believe that, at least for me, and if you’re reading this you probably think it might be a great one for you too. When you do it right, it’s profitable, consistent, and most importantly for me, flexible. To be able to design the life I want instead of carving a small existence out on the edges of a J-O-B, means everything to me and to my family. Here’s the thing that nobody believes, though. Trading is not rocket science! Once you learn the basics, it’s actually pretty simple and a whole lot of fun! It’s true that you have to care about the numbers and being able to see patterns doesn’t hurt, but really if you can count to five and tell up from down, you could trade. The key to trading profitably (and I’m talking Forex, here, my bread and butter), is to get into a potentially profitable trade as early as possible. Every second you’re trading a profitable trend is more money in your account. To get those up-to-the-second entries you have to have clear and concise entry signals, and you need to have a system where all your indicators give you a “blink of an eye” snapshot of everything you need to see. If you have to hunt and peck through charts before you place a trade, you are costing yourself precious money. 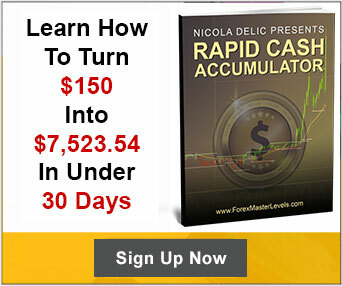 I’ve spent 16 years developing the indicators and systems I use, and I am still always on the lookout for another edge to get me into the money faster. You can use whatever indicators float your boat, just as long as they actually do the job. For instance, I know I have a tendency to get distracted by kids, or just life, so an indicator that gives me the time remaining on any chart cycle is essential in any system I trade. When a pro trader develops or finds indicators that they can group together that work best for their style of trading, that’s their trading “system.” And when traders bring you systems we’ve developed – if the trader is legit – what we’re showing you are the indicators that allow you to trade like we do (and hopefully see similar profits). Some are developed for scaplers (traders who prefer the lower 1, 5, and 15M charts and skim pips off short market moves for consistent profits, while others are developed for the longer-haul 1H, daily, or weekly charts that could provide bigger individual paydays. It’s all in where you as a trader want to “live.” Identify your trading home and find they best way to trade that space. However, you need to ask yourself about the track record of anyone offering you a “free” system. Are they successful traders? Or, did they scour public forums to grab some cheap and easy indicators, throw them together, and call it a system? And are their indicators based on sound trading principles? It’s all well and good to “think outside the box,” but as traders, the box of trading fundamentals really needs to be home. 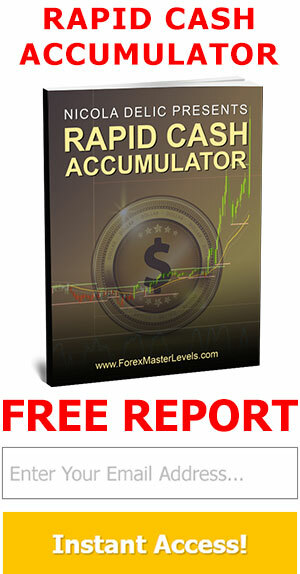 I wrote a bit about this in my recent book, Tips and Tricks to Making a Fortune Trading Forex. You have heard, over and over again, that 95% of all traders fail. You have also most likely heard that if 95% of traders fail you probably shouldn’t be doing what they do. You are then encouraged to “think outside the box.” This is a statement that is commonly used by system vendors. Think outside the box: Don’t do as other traders are doing, do it differently! The trouble with this statement is that the 95% of the traders who are failing are doing everything outside the box! In order to get back onto the road to profitability, you must get back in the box! All the answers are there. All the secrets are in the box. Forex basics, the rules of the trading road, are in the box. That’s why brand new traders often get far better results with a strong system than long-time traders. Newbies are terrified of stepping a pinky toe outside the box, so they follow the “rules of engagement” and often they make better percentage returns on investment than “journeyman” traders. 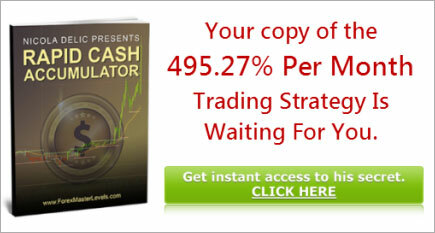 Find a system that gives you the tightest entry signals you can. Like I said, it’s not rocket science. If I can do this (and I have been, quite profitably for over 16 years), anyone could.